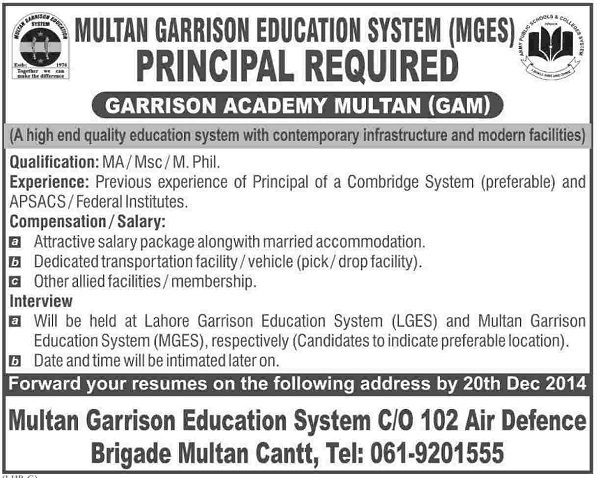 Multan Garrison Education system MGES Principal Required. Garrison Academy Multan GAM is a high quality education system with contemporary infrastructure and modern facilities. Experience: Previous experience of principal of a combridge system preferable and APSACS Federal institutes. 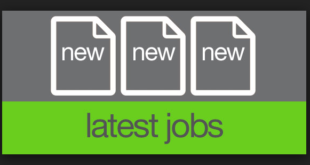 Compensation/ Salary: Attractive salary package along with married accommodation. Dedicated transportation facality/ vehicle pick and drop facality. 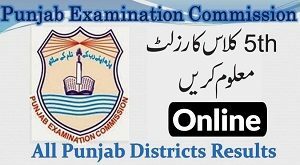 Interview: will be held at lahore garrison education system LGES and Garrison education System MGES, respectively Candidates to indidate preferable location. Date andtime will be intimated later on. Forward your resume on the following adress by 20th December 2014.